More and more gyms around the world are opening their indoor calisthenics and street workout sections. People are more interested in functional bodyweight workouts and Kenguru Pro have the best calisthenics indoor equipment to offer. This is one of the latest built indoor street workout parks built in Granada, Spain. Project was built by Kenguru Pro official distributors in Spain and the new calisthenics indoor gym is already open for clients. 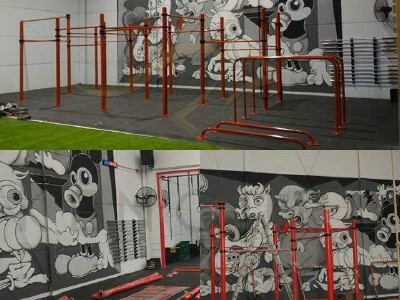 Kenguru Pro is offering two types of indoor street workout gym equipment. Equipment with heavy stability plates are created for gyms that are interested to move position of their bodyweight functional workout equipment. Second solution is equipment that is fixed directly to the ground, for gyms that already know how they want to place the equipment. Kenguru Pro team is always helping to find the best solution for every new gym.